Places for the 2018 AGM are now completely full. Please do not attend unless your registration has been confirmed because, unfortunately, the venue will be unable to accommodate you. Members who are not attending but who wish to cast a vote in relation to the formal business of the AGM should do so using the proxy form mailed to all members last year. Please contact us if you need another copy. If you have registered for the event and can no longer attend, please let us know asap so that your place can be released to those on our waiting list. Keeping up to date with published research and other information is now much easier for RCC members with the launch of the RCC Discovery Service. Similar to PubMed, but with much wider coverage, this online system allows RCC members to search a huge array of journals, books and databases in one place. The RCC Discovery Service is accessed via a secure page on the RCC website, so visit rcc-uk.org, log in with your usual details and click the RCC Discovery Service link. A direct route to the link is also provided here. Once you have launched the service, you can use the various controls to refine your search, or choose ‘start new search’ to be taken to the main landing page which includes handy links to popular searches. It’s here! The CPD.RCC online portfolio system is live! 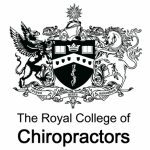 The Royal College of Chiropractors is delighted to announce the general launch of CPD.RCC – your new, online CPD portfolio system. Getting started with CPD.RCC is easy using our introductory video, and a comprehensive help menu keeps you on track. To activate your CPD.RCC account contact us at admin@rcc-uk.org. We are delighted to announce details of our AGM & Winter Conference, which will take place in London on Wednesday 31st January 2018 and is free to members. The programme and registration form are available here. Members will also receive these details, along with the formal notice of AGM business, by email and post.